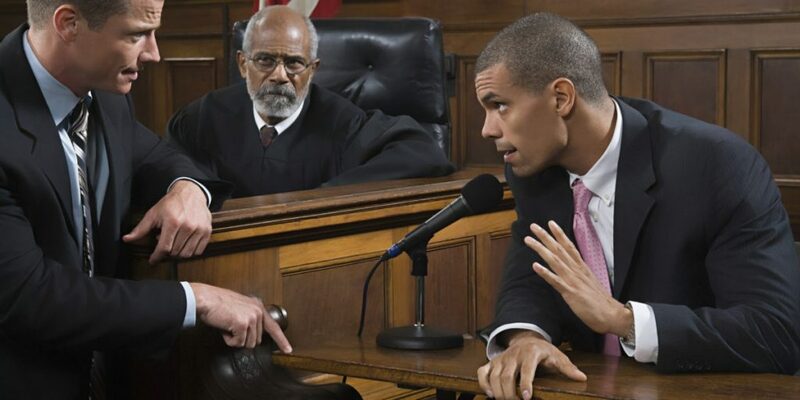 Cross Examination in Criminal Trials – “Would you like to cross examine the witness?”. We have all heard a judge on television say something like this, but how many people really know what it means? One of the themes our blogs is explaining the things that people see on television and may have misconceptions about. This blog will talk about cross examination. This blog is for informational purposes only and is not intended as a substitute for the advice and counsel of a criminal defense attorney. In previous blogs, we talked a great deal about criminal trials and evidence, so we will not bore you with too many details. We invite you instead to just click the links in this paragraph. Because a defendant is innocent until proven guilty, the prosecutor must have people testify, in order to tell their story and try to prove that all the elements to the crime happened, beyond a reasonable doubt. **There’s more detail than that, but we will get to it later. Cross examination is the questioning of a witness called by another party. What does that mean? In a criminal case, the defense attorney’s questioning of a witness called by the prosecutor is cross examination. Which means, the prosecutor’s questioning of a witness called by the defense attorney is also cross examination. Does every witness get cross examined? Everything in cross examination is strategy based and should have some sound reasoning behind it. Therefore, while all witnesses are subject to cross examinations, not all witnesses will be cross examined. Sometimes it just doesn’t help your case to cross examine certain people, and clients must often be reminded of that. The burden of proof in a criminal case is on the government and not the defendant. Because of this, the defendant doesn’t have to put up any evidence and often does not. That makes it very important expose the jury to the defendant’s theory of the case through cross examination. Criminal trials are a lot more complicated than they look on television. If you have been charged with a crime, contact us. Gilles Law handles North Carolina criminal defense, South Carolina criminal defense, and Federal criminal defense.